I discovered this game idea on Pinterest (via this adorable red ball party post)... so when we got home from a family walk last night and were trying to convince my son that he didn't need more Leap Pad time, we decided to try it! The game is simple. Hit the ball back and forth. Make up your own rules as you go. The toddler even got into it and loved putting the balloons back on the plates so that we could keep playing... she also loved trying to steal the balloons. In addition to hitting the balloons back and forth, we had races where we tried to balance the balloons on our plates and run across the room. We also tried to see how many times we could hit our own balloons up in the air without letting them touch the ground. My record was 6. I think we need to play this game more often. This activity reminded me of a book I used to read with my students called The Red Balloon by Albert Lamorisse. My twin sister is creating a playroom themed around this book and reminded me about it today... so I had to include it in this post. Have you read this classic book or watched the movie? It is mesmerizing and the images are beautiful. Definitely find a copy and read it along with this activity! Do you have any other favorite active indoor games? We'll be sharing several over the next few wintery months when we are stuck indoors! Such a simple idea and I know my boys will love it! Thanks. We tried this with badmiton raquets a while ago and my toddler only played for a moment before getting distracted. I meant to try again another time but forgot all about it! Fun! A great idea for curing cabin fever! 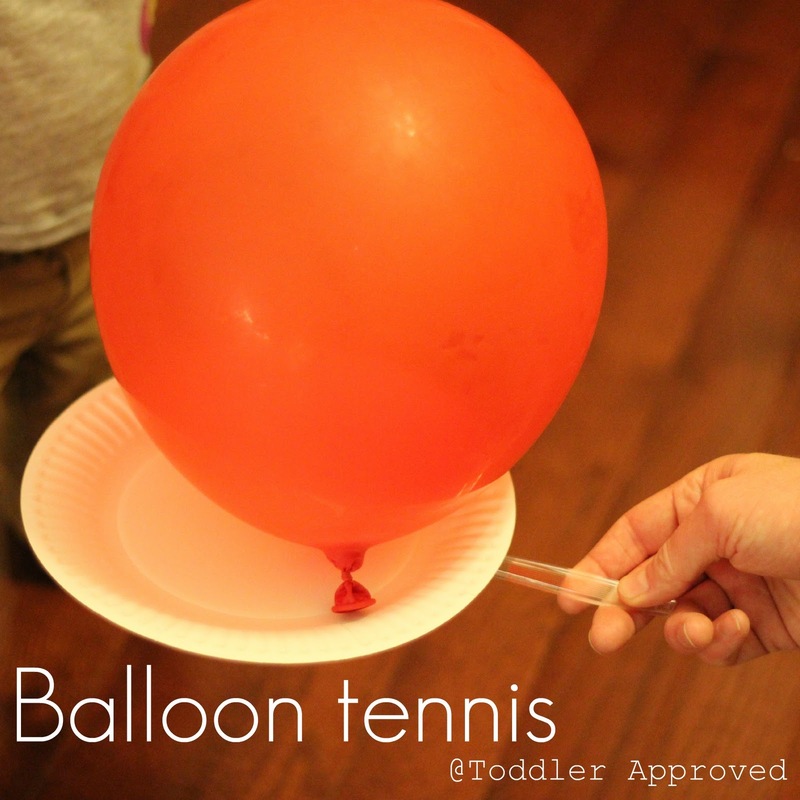 Balloons are a favorite in our house, and I can't wait to try balloon tennis. Another friend recommended the "Red Balloon" and told me it could be found on You Tube. 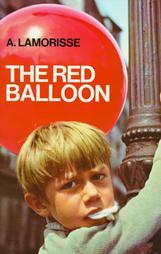 I'm going to check out the Red Balloon book. I don't think I've read it yet. I love your fun active idea with the balloons and paper plate racquets! My kids stayed active by dancing to music and jumping down stairs when they were little. I recently watched some videos I took of them being wild and free as little ones. They liked the game Hullabaloo and exercised to a video called Jump or something like that. Our weather has been so nice lately that the kids were jumping on the trampoline on January 4th in Montana! I am defintely going to have to try this out. What a great way to get everyone moving and having fun together. Thanks for sharing on Monday Madness. Lovely idea! How wonderful is Pinterest for finding fabulous ideas! This is such a fun idea! Perfect for winter when we are all cooped up! I'd love for you to share it with us at TGIF - http://livinglifeintentionally.blogspot.com/search/label/Linkey%20Parties - I know my readers would love it too!